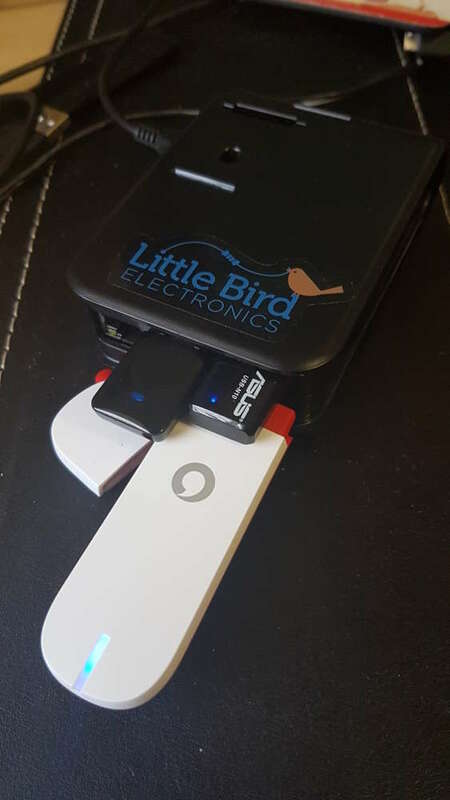 This entry was posted in Uncategorized and tagged huawei, k4203, mobile broadband, raspberry pi, router, travel, vodafone by wargus. Bookmark the permalink. I later discovered that I needed to remove and re-insert the wifi dongles to get them to work correctly. This caused problems for the isc-dhcp-server – it failed to start. I resolved this issue by adding the line “post-up service isc-dhcpd-server restart” to the /etc/network/interfaces file. At first glance I would assume that you have a different model, or a revision. Glad to know that it still works for you!